When completing your online master’s degree, you’re not necessarily looking for something that duplicates your time in undergrad. However, some of those on-campus standbys still apply. The best online MIT program was able to combine the combine the convenience and flexibility of online learning with the most important elements of campus resources. We compiled a list of 30 online master’s in information technology programs and then selected the best based on a variety of unique features and statistics. We reviewed each program’s qualities and compared the pros and cons – so you don’t have to. Networking details how the online university assists students in the online master’s in information technology program in connecting with alumni and employment opportunities. Many schools have alumni associations, and in today’s highly social world, Facebook and LinkedIn networks are becoming more and more common as well. The best online IT programs will also have career services to help newly graduated students find good jobs in the information technology field. Resources like this can be extremely valuable to students, and many of the best online IT programs will stand out in this area. 15,000+ LinkedIn Network Members – The school has a LinkedIn group for alumni with 15,000 members or more. Penn State has close to 400,000 alumni members connected on LinkedIn. Alumni Association – The school offers membership to an alumni association. Penn State offers a huge alumni network with over 645,000 alumni, 171 countries with alumni and close to 300 local/regional organizations. Enrollment discusses general information related to the admissions process for the online master’s in information technology program. This includes details about what kinds of students are accepted to the program. For most schools, this will include both full- and part-time students, and it may also include international students. In many cases, earning an online information technology degree can be done completely online, though some programs may require occasional visits to campus. Different schools will also have different levels of selectivity, which will have a large impact on the size of classes and overall quality of the student body. Enrollment will be a fairly important category to consider when choosing where to get an online IT degree because it says a lot about what the school is like and what students can expect from the IT program. Military Student Enrollment – The school offers enrollment to military members, veterans and military spouses. Student Engagement represents how well the online IT program retains its students and keeps them interested in their classes. Schools with selective admissions and excellent faculty credentials and training will also score high in this category. Student Engagement is relatively important because it will have a fairly large impact on the student’s experience in the online program and the overall quality of the education they receive. High Admissions Selectivity Score – The online graduate information technology program received an Admissions Selectivity score of 50 or higher from U.S. News and World Report. High Faculty Credentials and Training Score – The online graduate information technology program received a Faculty Credentials and Training score of 70 or higher from U.S. News and World Report. High Student Engagement Score – The online graduate information technology program received a Student Engagement score of 65 or higher from U.S. News and World Report. High Student Services and Technology Score – The online graduate information technology program received a Student Services and Technology score of 45 or higher from U.S. News and World Report. 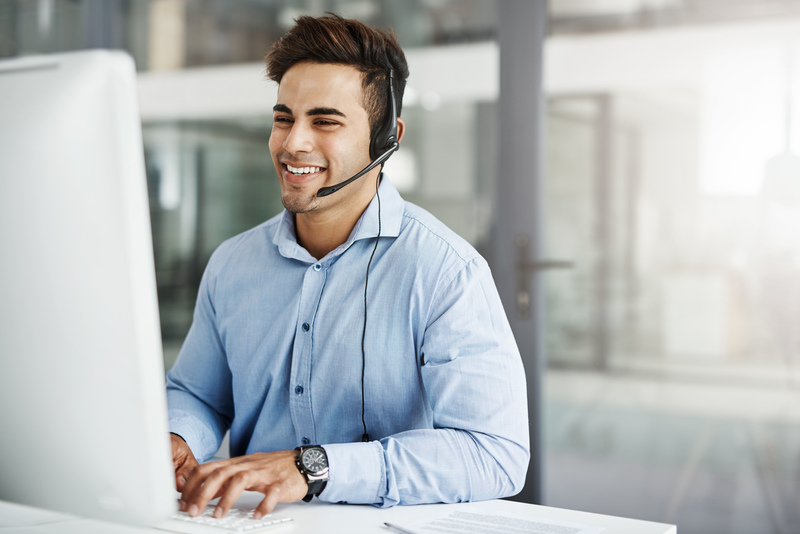 24/7 Live tech support is just one of the student services a solid online program should offer. Student Services describes the resources that the online IT degree programs offer to their students to help them with classes and assignments. Academic advising is provided by most universities to help students choose their classes and stay on track for graduation. Digitized library materials enable students earning their IT degrees online to have access to the same materials that on-campus students have, while 24/7 live tech support can help with any technical problems students encounter during their studies. The best online information technology programs will also offer online tutoring to students who feel they need a little extra assistance with their assignments. This category is pretty important because many students will take advantage of these services over the course of the IT program, so it’s a good idea to pay close attention to this while choosing an online school. Digital Library – Students have access to digitized library materials. Penn State uses the University Libraries System, the 9th largest research library in North America. Application Requirements explain what documents prospective students are required to submit, aside from their application, when applying to the online master’s in IT program. This frequently includes a personal statement, transcripts, test scores, and letters of recommendation. Some schools may even require a resume and a formal interview as well. Certain programs may restrict acceptance to students with prior coursework or a degree in information technology or to students with work experience in the IT field. While this category does contain important information for students to know when applying to these online IT programs, application requirements are generally pretty similar across all schools, so it shouldn’t be a huge factor when deciding between multiple universities. Essay – The application requires an essay, personal statement or written answer to program-specific questions on the application. IT-Related Undergraduate Coursework Required – The online school typically requires the applicant to have completed IT-related coursework. IT-Related Undergraduate Degree Required – The online school typically requires the applicant to have an undergraduate degree in an IT-related field. IT-Related Work Experience Required – The online school typically requires the applicant to have IT-related work experience. Resume – You are required to submit a resume as part of the application process. Financial Aid lists the different ways that students can get financial assistance to put towards their online information technology degree. Federal student loans are always an option for students who qualify, but many schools also have grants and scholarships available as well, which is another good option for those who meet the requirements. This category is relatively important because earning a master’s degree can get fairly expensive, though it shouldn’t be too much of a concern when comparing different online universities because most schools offer similar kinds of financial assistance to their students.